When TBWA\Chiat\Day\LA called with the challenge of creating five complex CGI images of the Energizer Bunny, VISU proposed Simon Danaher CGI team with Smalldog Imageworks Retouching to get the job done. 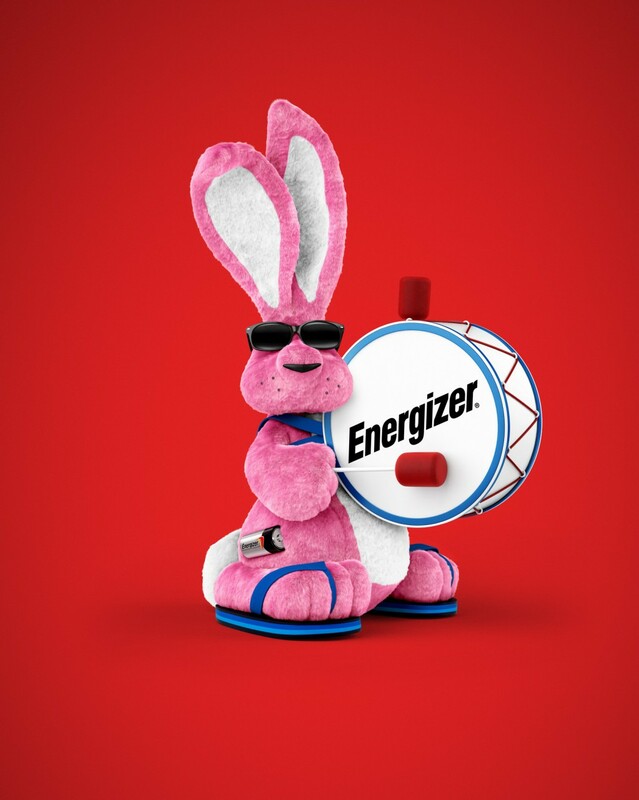 The concepts feature the famed mascot in a variety of never before seen poses which promote a number of new products on the updated Energizer website, in print, for broadcast and elsewhere. It was also requested that Simon Danaher’s CGI models be turned over to the broadcast animation team which then used them to create the accompanying TV spots. The variety of uses further pressured the tight schedule since each canvas had to be 11,000 pixels (36″) tall. If the intended uses were only web or broadcast less time would have been needed to create each image, because at smaller sizes much less fine detail such as the individual strands of fur would be visible. Rendering times increase as the square of the linear size too, so if you double the height of an image, you quadruple the rendering area and thus the time needed in that phase. This coupled with the huge amount of extra CGI detail that needed to be created made for a challenging project. Print requirements are higher than those needed for digital or broadcast because details that would not exist or be too small to notice in digital or broadcast resolution are brought into close scrutiny in print. “As soon as a detail becomes lost to antialiasing you do not need to worry about it and in digital or broadcast that is an awful lot,” says Simon Danaher. The most challenging image to create promotes Energizer’s advanced LED technology real wax candles, with the headline,”Now candlelight is even better than it looks.” The concept called for the Energizer Bunny to appear as a candle. Although few images of realistic looking CGI wax exist, after some testing and improvising Simon Danaher managed to pull this one off without a problem. Once each render was complete the file would immediately be transferred to Smalldog Imageworks. This allowed Simon Danaher CGI to begin working through the development of the next CGI image while Smalldog began minor compositing, touch up, color, beautifying and layer simplifying for final delivery. The team completed each image before it’s initial deadline- surprising the agency which expected the process to take much longer. The CGI tools used for this particular project included Cinema 4D/ Vray/ FastFur2 & Vray Fur. Simon Danaher does not use Maya which is a 3D app (optimized for animation and FX) that is typically not used for print rendering. CGI process and tools vary for each project.